NAMA TEASE : OSAKA JAPAN is an Osaka, Japan-based t-shirt store. Was that too obvious? It looks like they just opened shop on March 3rd, 2016. NAMA TEASE is based in Osaka, the food capital and heart and soul of Japan. 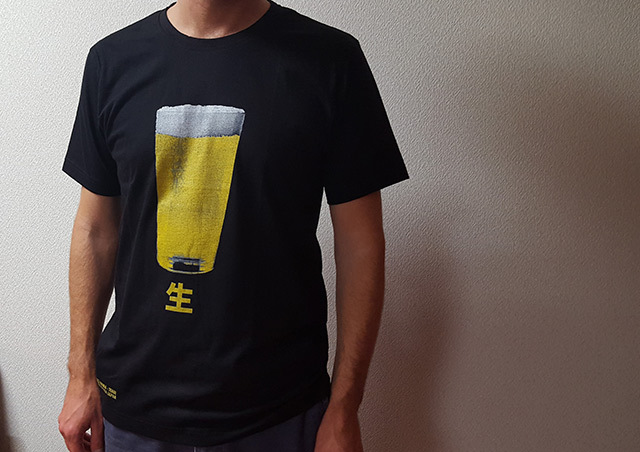 All our T-shirt images are designed in Osaka and draw upon images from the Kansai region. Guest designers are also based in Osaka. A black t-shirt arrived in the mail last week from Osaka. Despite living here, this is the first t-shirt that I have reviewed from Japan. It’s a large black 100% cotton t-shirt. Made in Thailand. Officially it’s a large t-shirt but it’s like a standard medium t-shirt from American Apparel. That’s the way the sizes generally run in Japan though and they do provide a warning. T-Shirt sizes are standard Japanese sizes, please consult the size chart above for the exact measurements, available in both centimeters and in inches. I was a little confused by the print at first because it felt like a plastisol screen print but it doesn’t look like one. It turns out that it’s a heat transfer. Despite the rubbery texture, though, it is still quite soft. The design is simple but it works. It’s a picture of a glass of beer with the kanji “nama” printed underneath. Nama (生) is the word they use for draft beer (among other things). There is smaller logo print on the bottom right corner of the t-shirt. It’s pretty classy. A lovely refreshing glass of beer with the Japanese Kanji “Nama” meaning “Draft” or “Fresh”. As mentioned above, there is a small logo on the bottom right of the t-shirt. The logo is the kanji for nama (生) in a box and the text NAMA – TEASE OSAKA JAPAN covering two lines to the right of it. The logo is not so big as to distract from the main design but big enough to be noticed. I like the simplicity. 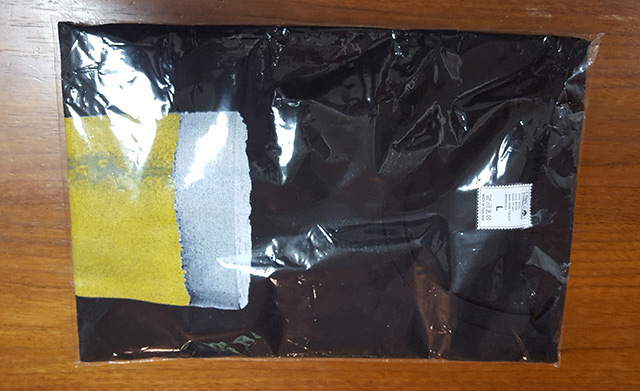 The t-shirt came in a clear plastic sleeve inside a plain white mailer with a thank you card containing information about NAMA TEASE : OSAKA JAPAN on the one side and the t-shirt design on the other. It contains non-alphabet characters (hyphens). It contains a confusing word (tease). The website is clean and easy to navigate but it’s not very pretty. I believe they already did a redesign despite its youth but they need to add some character to the store. The t-shirts are simple but they have character. They are fun and interesting. The storefront is dull. There are currently ten designs in the store, all on black t-shirts. The design quality is not that great. They are mostly photos cut out in PhotoShop. Despite that, they do seem to work. The t-shirts are mostly attractive and have a very cool retro vibe. 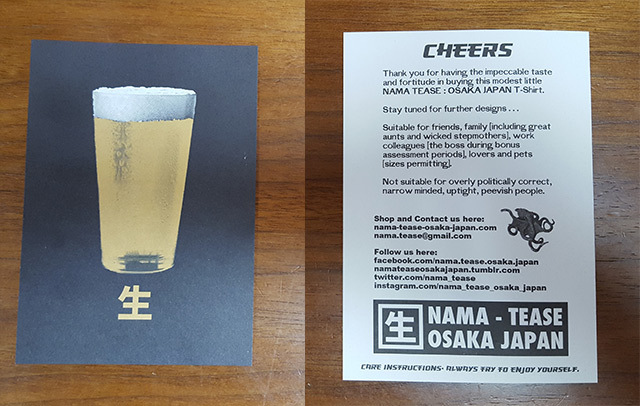 NAMA TEASE : OSAKA JAPAN have a design theme and they are sticking with it. None of the designs looks out of place. The t-shirts are 2,900 yen each which seems a bit pricey to me here in Japan considering Uniqlo is the only store where I’ve bought a t-shirt in a long time. But at about US$25 including free worldwide shipping, it seems like a bargain. Despite them being basically cut-out photographs printed on a shirt, I really like this store. The t-shirt is nice quality. The print is not great but I think it works for this type of design. They recommend washing inside out but I think that if the print faded the t-shirts might look even better. With free international shipping and the weak Japanese yen, NAMA TEASE : OSAKA JAPAN is priced well. Get your retro Japanese t-shirts shipped from Osaka now! Thanks for the review. It was very helpful. We carefully considered all your ideas and criticisms. Some things we have changed and some a little bit beyond our control we have not. Just for reference all the images used on our site and for our T-shirts come from our own original photographs, though they are just photos cut out on photoshop, they are ours. We have in fact just published a new look website. This being the third incarnation in our very short life. Hopefully this is the one. Please check it out. I much prefer the new design. I would link the images in the carousel to the respective images. You might also want to check your prices. $2,900 is a little steep for a t-shirt and April Fool’s was a few days ago. Oops! That does seem a little pricey, even for 100% cotton. Thanks for letting us know, as on our computer the prices still come up as ¥2,900. However, we have noticed that the currency converter no longer works. 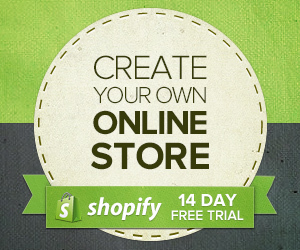 We have the Shopify staff working on it as we speak. All fixed, now with the currency default in US dollars priced at a modest $27.00 [or ¥2,915 JPY], including free worldwide shipping.